This is a paid Role of £9.75/hr 3 days /week. Bonus of £10/per successful meeting arranged for our Senior Sales Consultant. A predefined criteria will be agreed. Also with a 2% MRR commission on every deal completed by the team for the 1st year and then 1% MRR going forward. Whitehat SEO Ltd is an Inbound Marketing agency based in London. We are a Hubspot certified partner. We help our customers with inbound marketing by providing lead nurturing and demand generation services, content marketing and marketing strategy. We also design and build effective marketing websites using a growth driven design methodology. Everything we do is to help our clients capture qualified leads. 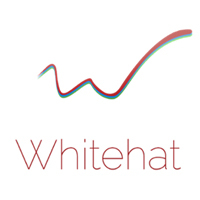 Whitehat seeks a Business Development Representative (BDR) to join the London branch of our highly successful sales team.